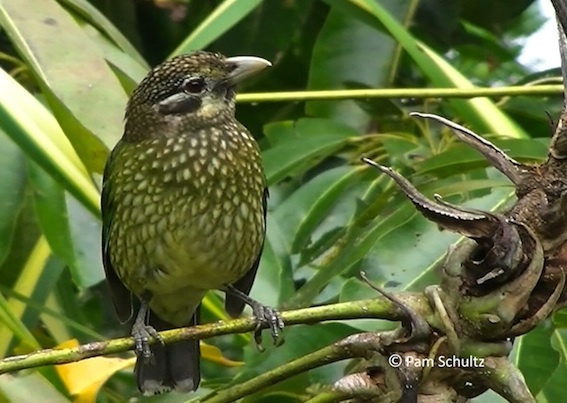 Spotted Catbirds are a species of bowerbird and are fairly common in mature rainforest. They will utilize young plantings as corridors and also for feeding especially if there are sufficient fruiting species of trees and vines. It is well camouflaged and difficult to see as it forages in high to mid canopy. They have a distinctive cat-like meowing call.